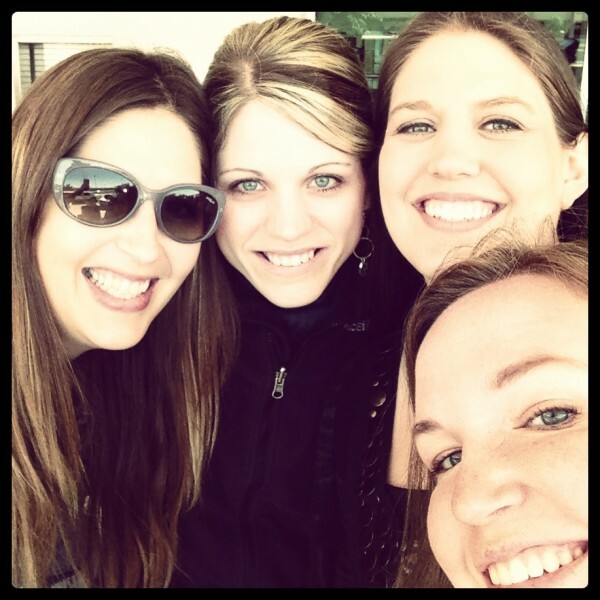 A few of my frugal friends: Ruth from Living Well Spending Less, yours truly, Rachel from Surviving the Stores, and Ashley from Ambient Promotions. After going through the usual suggestions I give (things like setting financial goals, getting on a budget, etc. ), I said, “I think it’s also important that you surround yourself with frugal friends.” While this isn’t necessarily the usual financial advice you receive, more and more, I’m beginning to believe that it’s a key factor in helping people stay motivated and on track financially. Think about it: if everyone you associate with it spending money pretty extravagantly and telling you that you “deserve” this, that, and the other — even if you can’t afford it — it’s going to be hard to stick with your resolve to live frugally. On the other hand, if many of your friends are living frugally and simply, if they are content and totally “get” you when talk about buying something secondhand or saving up to pay cash for things, it will be a lot easier to keep on your slow and steady journey toward debt-freedom or achieving your other financial goals. In addition, when you hang out with frugal friends, you are inspired with new money-saving ideas, you are motivated to not give up, and you can laugh at all the crazy things you do in order to stay on budget. It’s much more fun when you don’t go it alone. That’s why I encourage everyone who wants to live frugally to start an official Frugal Club or at least find a great gang of frugal friends that you can brown-bag your lunches with. Don’t Have Any Frugal Friends? Don’t Despair! If you don’t know a single frugal friend, don’t despair. Start looking for them at your local library, mom’s groups, church, thrift store, used book sale, or gardening club. You just never know where you’ll find an amazing frugal friend, but if you keep your eyes open, I promise there are some other frugal folks who live in your area! 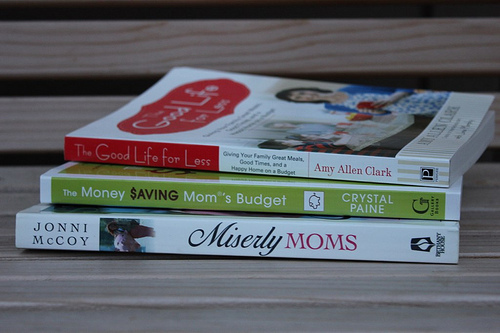 In the mean time, read money-saving books and blogs to help you stay motivated and inspired. They aren’t the same as real-life friends, but they will still help you stay motivated. And if you have trouble finding local friends, see if you can find some good accountability partners online — maybe even people that you meet in the comments section here on MoneySavingMom.com. Do you have frugal friends? Tell us what you’ve learned from your frugal friendships and your best tips for finding frugal friends. I think this is a very important point. In the book “Little Women” which was written many years ago, Meg learned she spent too much trying to keep up with richer friends. Nowadays maybe the friends aren’t richer, but they might not mind having a lot of debt. I totally agree!! And they won’t make fun of you! Okay, can I just say how fun it is to read through a post on Crystal’s site and check the comments and find two of my friends from different seasons of my life commenting? And I love you too! I hope your sweet family is doing well! Fun idea! I want to do this. Crystal, you are my frugal friend. You absolutely pegged this one, I have been told far too many times by others that what we do to save money is not worth it to them. Well, we are not the ones that have credit card debt, struggling to stay a float (getting a bit harder in this economy) and or pay our bills on time. Just saying. No kidding! Last week I was told by my Target cashier that my couponing was a waste of time. Meanwhile I spent 15 and got 60$ worth of items we needed. Guess it is just a mindset. First thing I thought was that he very well might be a credit card debt kind of guy. Sad. Oh yeah, and the whole “frugal friends” comes in because it’s a lot easier to stick to the exercise and packed lunch everyday knowing that my running group will give me a hard time if I don’t! I love this! I’ve found it’s easy to post on Facebook, “I have a yummy recipe I want to try out. Anyone want to come over for a play date tomorrow?” I did it once with soft pretzels, and once with chocolate covered strawberries. Both times we had a great time and the cost was very low. I even posted recently that my kids had a new movie, and did anyone want to come eat popcorn and watch it with us? It was so fun! Even if your friends aren’t frugal or you feel embarrassed about being cheap, an approach like that isn’t weird or intimidating – just a great opportunity for everyone to get together and have fun. We are empty nesters so we don’t do play dates but I often post early in the week that we are playing dominoes and having dessert on Saturday night and we have a great time with whoever wants to come over. True.. a set of friends with same goal influence each other in great way. Sometimes we miss to find a similar set up, but there is always a way to motive oneself through self-help books. Also, forums and blogs are great of finding good friends. Yes, totally agree. Almost two years ago we moved to for my husband to get his law degree. I love the women I have met at my church but most of them live well “above” our lifestyle. I have always embraced a fairly simple lifestyle but being around these friends has been tough at times. I never feel pressured to spend money but sometimes it is just hard to relate, especially in group conversations about vacations, preschool choice, restaurants, etc. I feel like I am the only one in my church that is frugally minded like I am. I am, out of dire necessity, but I think if I had more money my mindset would still remain the same. I could do much better, too. One person would be great in my circle of friends! My daughter who is married and I often talk of our frugal finds, recipes, etc. I am blessed with that! I agree! It’s great when you can be honest with friends and say, we’ve used our eating out budget for the month, can we just cook dinner at home? This year at Christmas I was determined not to do all the extra things… secret santas, ornament exchanges, etc. It was really nice when people were understanding! I find that this can be a doubled edge sword because my frugal friends can be judgmental about some of the things I splurge on. Each of us has different priorities. I find myself justifying my spending and choice more and more, particularly since I completed my education and took a job that netted me a $13k/yr pay raise. One example: I recently purchased a new designer hand bag for $80 (retailed for $286). Knowing myself, unless something happens to it, I will carry it for 2+ years before I even think about a new one (it replaced one that was 2.5 years old. Frugal friends have made comments about how they just wouldn’t spend that kinda money on a bag. But then they knock my thrift store shopping for clothing. Jessica, I was thinking about this earlier tonight. I think one of the blessings of “living like no one else”, as Dave Ramsey says, is that it can allow you to enjoy the things you really want. I think it’s great that you bought the purse you really wanted, and got it for a great price, too. We all have different wants and needs, and tastes. We don’t all spend our money on the same thing. I think it’s great! You just have to remember that for your friends, they might look for great clothes deals and get them for just a few dollars, while you’ll wear thrift store clothes and buy the purse instead. The hardest part is accepting one another’s differences on what items are worth buying and which ones aren’t, and still encouraging one another to be frugal. I think we all go through this sometimes. I had a friend who was having a hard time because some of her other friends kept posting pictures of all these great vacations they had been on. What she failed to realize is that she splurged in other areas of her life that were more important to her. Each of us has different things that we value. Sometimes we have to remind ourselves of that. I would not buy the same things as other people but I did choose to spend more for our house because I wanted to live in an area where I felt safe and had good schools. I then had to cut in other areas to compensate. Just take what your friends have said as a reminder to make sure you don’t do the same thing if they choose something different than we would. Even if you don’t have friends who are local who are frugally minded, you may be able to find others online. I made a great friend because of Frugal Friday (which Crystal hosted years back). I had read her blog a few times and she had read my website, and emailed me with a question. We ended up becoming good friends, and she has been a great blessing to me. Now that I’ve added a blog to my website, I’ve often read reader’s comments about how happy they are to read what others are doing each week to save money, because it gives them ideas and encourages them, and they don’t always have that kind of encouragement locally. Everyone shares what she has done to save money, and all of us, myself included, are learning from one another. So, even if you don’t know anyone near you who isn’t interested in living frugally, you can find others online (blogs and frugal forums), who can rejoice with you in your frugality and encourage you with new ideas! Charity – I talk about Money Saving Mom and The Prudent Homemaker in casual conversation with my husband, just like I would if I actually knew them. :o) I admire both bloggers and the choices they make, and they are both very encouraging to me. I think it’s great to have people we can look up to online! Absolutely true! Also, our “happy go lucky” friends who we love often invite us to do things that cost a significant amount of money. We hate turning them down all the time because we want to maintain their friendship and love hanging out with them. I do sometimes get the WOW you would be proud of me by my coworkers I saved by doing this or trying that. We work in retail they do not use coupons, so I took them, put them on the breakroom table so they could cut and take what they wanted. They would not help themselves. Took our local ads with matched and cut coupons, still no. They can not be bothered. So I stopped. Well my husband lost his job after 30 years. He had a great wage, and all the benifits. His plant closed, the only job he had ever had, he had worked up to a sup. He was out of work 3 months he took a job at $10 an hour for the insurance. Guess what? We are doing good no doing GREAT. We have always lived below are wages. We own 2 homes our cars and have savings and so much more yet they whine and gripe what they don’t have except bills. I do so very much enjoy my few frugal friends. I have only a few people I talk to on a normal basis and what I would consider to be friends. None of which are frugal. We go to a large church, but it is in a richer town, and everyone seems to be friends with each other and have no room for newbies (even though we have been members for over a year). I wish there was a place to meet frugal minded people online. I would love to have atleast 1 email frugal minded friend. My email is jrb1012 @ gmail.com. Without spaces, if anyone would like a new penpal friend. Family, too. Only you cant choose them. My husband’s family, especially his parents, always encourage buying what we want. My mother-in-law literally scoffs at me when I say I can save $ by hanging out the laundry. My mother in law is the same way! I stay at home with our four littles (soon to be five) and she is constantly telling me I need to get a job. Not sure what she thinks I’m doing all day, but, oh well. I just smile each time she says it because clearly she just doesn’t “get it”. I would love to have more frugal friends. My husband and I are simpletons but my family members are far from it. Since that is who I associate with mostly, that’s who I am around. Since they have high income jobs, I am always in the pristine home, eating out at a nice restaurant, and being encouraged to buy something because I deserve it. We are at the point where we can do things for ourselves, but I am still a stay at home mom and we still need to be frugal. I just have to always pick and choose my money battles. A frugal circle would be great. I would love some ideas on how to deal with these issues. I think you said it yourself- pick and choose your battles. Someone can encourage you to buy things, but they can’t make you do it. You can so no to pricey restaurants. We did- and the family survived. FIL celebrated his b-day at a restaurant, which cost us $85 to attend. It was his 80th, so we chose to go along despite the cost. Two months later MIL decided she wanted to go out to eat for her birthday. Her restaurant choice was slightly more expensive, so we said no, but offered to help pay for her meal. Then someone changed the restaurant so it would be cheaper- to the same one that FIL’s dinner was at! We still said no, visited her earlier in the day with a card and a pie, and she enjoyed it. Other family members also did not attend. MIL got over it. I know this is not really related but I have to share this!! So as I am reading this when my 2 year old son gets all excited saying “That’s mommy’s book!” as he points to the binding of the money saving mom’s budget book in the picture above. I just think it is funny that he could point it out like that! Your book is great, I guess he has seen me reading it a few times! It is also great because it gives you people to hang out with. We very rarely go out because between the cost of doing something and hiring a babysitter, it just is too much money, but we often (Most weekends) have friends over for a simple dinner (homemade pizza and salad is common) and play games or visit. I completely agree on this. Frugal friends will want to get together and catch up over some nice homemade lattes at the park, not go out to for dinner and drinks! It’s hard to say no and sit at home when your non-frugal friends are out having a blast. I love swapping frugal tips and sharing coupons. I’m hoping to get together my own frugal club this summer! This is so true. I have some great friends that are quite a bit older than me and have a lot more money. I definitely find myself getting into the trap of enjoying their type of vacations, meals out, etc. It’s really easy to completely blow the budget with just a few meals out. I need to get better about distinguishing between what I really need, and peer pressure. Every year, our home school support group has a “Frugal Tips” night. All the moms come prepared to share their best tips for saving money and living frugally– tips from the expected ‘use coupons’ and ‘get rid of cable’ to recipes for homemade cleaning supplies and baked goods to ideas for different phone options. Some years, a few of us also save up the free (samples or free after coupon) items from our stockpiles, and each mom gets a bag of goodies to take home! We have found that it’s a great way to encourage one another to keep going! So blessed to know you, too, Ruth! I had such a blast with you ladies and I am blessed to know every one of you! Hey!! I thought I spotted Ruth in the photo. I’ve been following her for sometime now on youtube, watching her publix videos. I don’t even have a Publix nearby. lol I just like how she shops in the store and explains the use of coupons. Great post! This totally is in alignment with what my sister in law and I have done. Even though we live a thousand miles apart, we motivate each other to use coupons and live thriftier. We even started a blog together to keep us on track and document our successes and failures. Thanks for the motivation! Same, Kara. 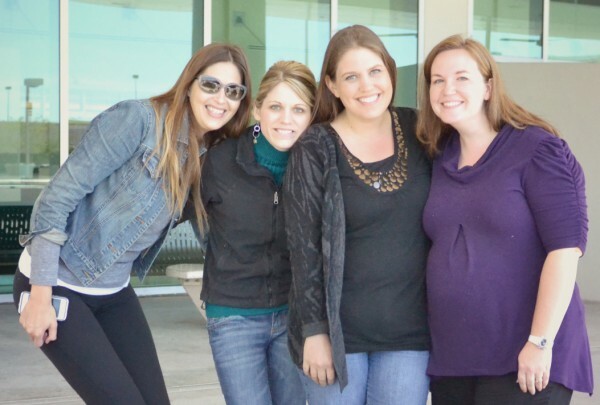 It’s been tough to meet like-minded people especially without kids. This is so true! We have an issue of family get togethers being expensive bc my husbands side of the family always wants to go out to eat for family bdays etc. the most recent invitation would likely end up costing us $150 (a small gift for each bday person, an expensive meal for each my husband and I (the place they chose is very pricey) ) and a babysitter for our young children. Thankfully we won’t be able to go bc my husband has to work, but any suggestions on dealing w that would be appreciated. We hate to be party poopers all the time!